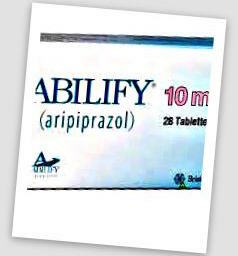 The popular antipsychotic drug Abilify (aripiprazole), is used to treat serious mental illnesses such as schizophrenia, bipolar disorder, and depression. Unfortunately this drug treatment has been linked to compulsive gambling. How Abilify Leads to Compulsive Gambling? Abilify works by balancing levels of dopamine and serotonin in the brain, producing feelings of pleasure and motivation. When dopamine is released during activities like gambling, the “reward system” is activated and the behavior is reinforced. Over time, a person can become addicted to the behavior. Several studies linked Abilify to compulsive behaviors – binge eating, hypersexual behavior and pathological gambling – in people with no history of these problems prior to taking the drug. This compulsive gambling is so addictive that it’s difficult to stop without professional help. As reported in the journal Current Drug Safety, several cases of compulsive gambling in patients were linked to the drug Abilify. The report noted that none of the patients had a history of compulsive gambling habits, and the gambling addictions ended once they stopped taking Abilify. In a JAMA Internal Medicine October 2014 study found impulse control problems with Abilify, which may result in abnormal behavior such as gambling addictions, risky sexual behavior and even compulsive shopping. Gambling addiction caused by Abilify side effects can have a catastrophic impact on an person's life, including serious debt, lost savings, divorce, unemployment and severe psychological damage. According to recently filed lawsuits, if adequate warnings had been provided about the Abilify risk of compulsive gambling, folks may have been able to avoid gambling side effects by recognizing the symptoms of the behavior and obtaining therapy or counseling. In severe cases, some folks have accumulated thousands of dollars in gambling debt after taking Abilify. If you or a loved one developed a significant gambling problem while on Abilify, you may be eligible for compensation. Contact Dr Shezad Malik Law Firm based in Dallas, Texas today for a free legal consultation. Your time to file a claim may be limited. Please call 888-210-9693 or complete and submit the contact form on the left. Our law firm is currently investigating Abilify Gambling Side Effect cases nationwide, including California, Florida, New York and Texas. This crippling gambling addiction causes people to gamble by any means necessary and to continue doing so even if they can’t afford it. Affected folks gamble with credit cards or borrow money. Compulsive Gambling can cause profound psychological distress and ruin lives. Folks suffering from compulsive gambling side effects caused by Abilify may have the option to file lawsuits against Otsuka Pharmaceutical Company and Bristol-Myers Squibb for compensation, the manufacturers of Abilify. The Parkinson’s drug Mirapex (pramipexole) is another drug known for causing compulsive behaviors. Mirapex targets the dopamine receptor in the brain that controls emotions and gives people a sense of pleasure – the D3 receptor. According to medical researchers, Abilify also affects the D3 receptor, which is why it also causes compulsive gambling. A retired Minnesota police officer named Gary Charbonneau filed the first Mirapex compulsive gambling lawsuit. He lost $260,000 to compulsive gambling that lasted several years. In 2010, a jury ordered Boehringer Ingelheim, the drug’s maker, to pay Charbonneau $8.3 million dollars, including punitive damages. The jury found that Boehringer failed to warn about the risks, and a number of other lawsuits followed.